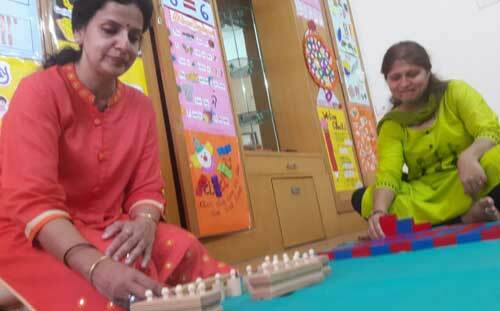 The Diploma in Pre and Primary Teacher Training course offered by INTESOL is the perfect base to learn about details of early childhood teaching. 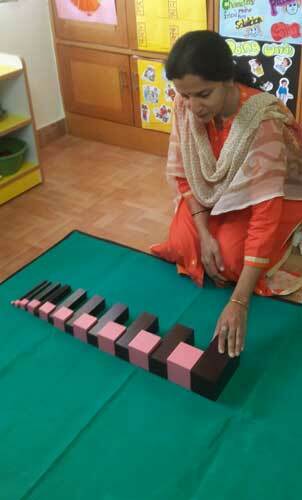 As primary education deals with the most sensitive age of learning, hence the teaching skill of an educator will play a massive role. A professional training will always be better for an aspiring as well as experienced teacher to learn about the methodologies required for producing effective result. 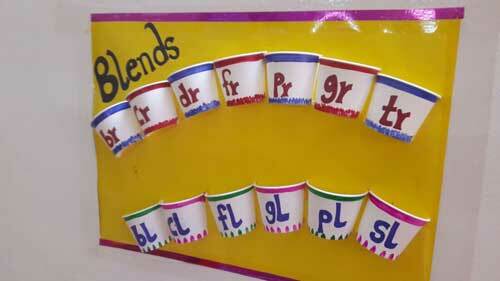 This course will help you not only to learn various techniques of early childhood teaching but also to know the basic about classroom management and lesson planning. On completion of this diploma course, you will be eligible for a globally recognized certificate and it will be awarded to you that will help you to start with a global career. 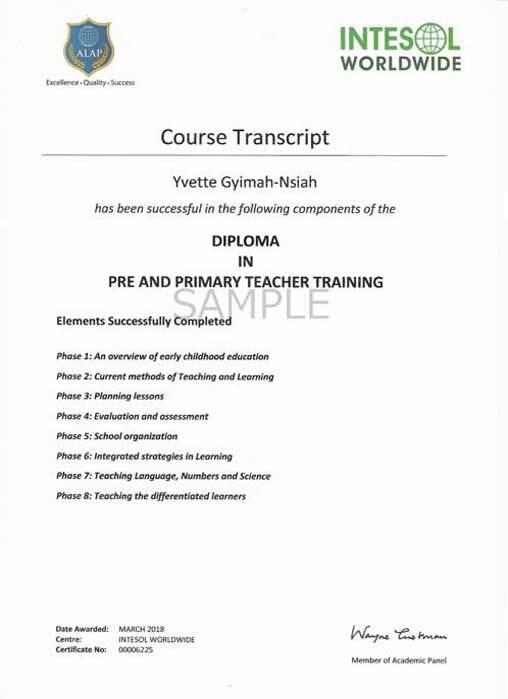 The Diploma in Pre and Primary Teacher Training Course is an 8 month program dedicated for aspiring as well as working teachers looking for skills and knowledge in early childhood education. You have to be high school passed out or a graduate to be eligible for applying this course. 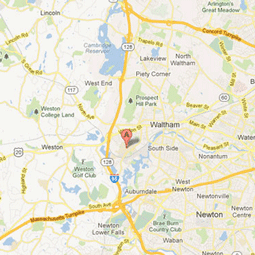 The delivery method of the course will be completely online. You may avail this course for a reasonable fee of 18,000 INR or 285 USD along with tutor guidance and course material. Accreditation is the quality assessment process required for evaluation and improvement which is essential for any educational organization. All our courses are globally accredited and certified by esteemed international body ALAP. It stands for Awarding language Acquisition for Professionals which is based in United Kingdom and known for maintaining a higher academic quality. 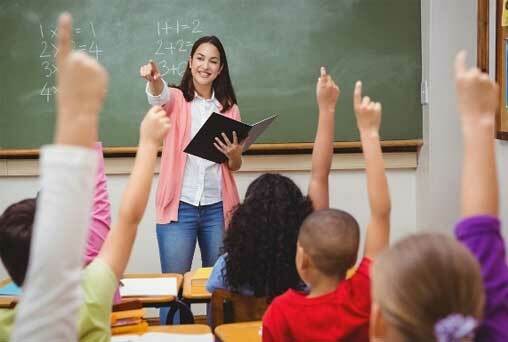 This renowned organization is one of the supreme institutes in the ELT industry. At the end of the course, all the students will be jointly certified by the institute itself INTESOL and ALAP, the accreditation body. Dual certificate will surely add up huge value to your training and career as you will be judged on your credibility while looking or applying for jobs. As the certificates are globally recognized hence it will feature a supreme platform for successful career. 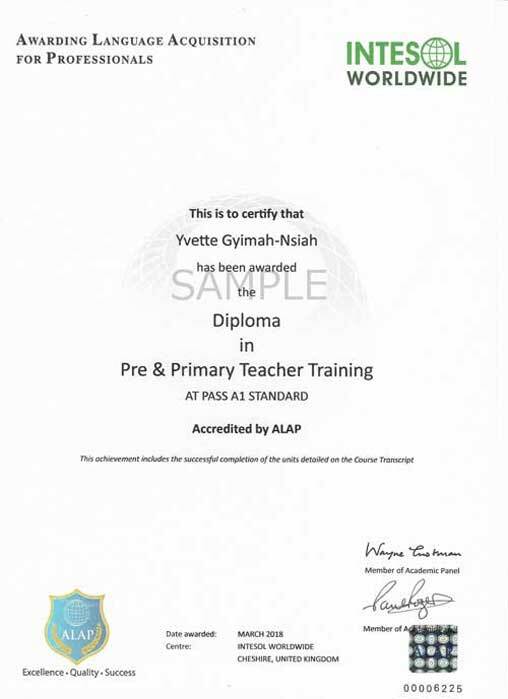 ALAP features transcript along with certificate which is a permanent academic report. It is available only with our course. No other institute across world features transcript with certificate. 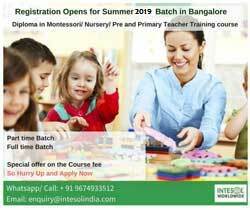 Registration opens for Summer 2019 batch in Bangalore. 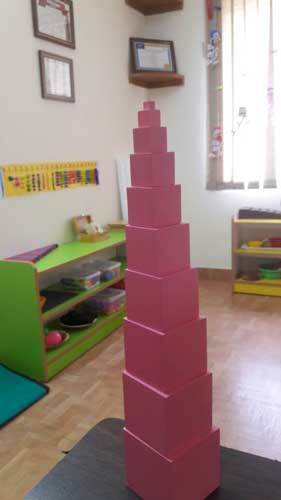 Diploma in Montessori/ Nursery/ Pre and Primary Teacher Training course for both Part time and Full time Batch. Special offer on the Course fee. So Hurry Up and Apply Now.